If you are one of them, this course will help you get out of that group and start using Oracle SQL Developer more smartly. Even if you have some time using the tool and are currently using some of its features, there's most likely something in this course that you don't know and can be helpful to you. Install and configure Oracle SQL Developer to run in your desired language and only with the features you need. Create database connections and execute commands and scripts. Display your results in a way that makes your work easier. Use code templates and snippets to accelerate your work. Export data in different formats and using different methods. Some other useful and interesting things. This course was created because there appears to be a pattern among Oracle SQL courses, regardless of the platform where they are taught: “If you are able to install it and connect to a database, you are good to go". What's more: Experience shows that even developers who are already working with Oracle databases as part of their job, tend to not look for ways to work faster in SQL Developer, and usually only investigate features they don't currently use when it is strictly necessary for their jobs. The goal of this course is to fill the gap most SQL courses leave about this great tool so that it can serve as a foundation if you are planning to learn Oracle SQL, and also to help you take advantage of the tool's features if you are already working with Oracle databases as part of your job. The course includes more than 20 lectures, each one starting by showing you why you need it or how it can be helpful to you, and then proceeding to demonstrate how to enable it and/or use it. There is usually one lecture per feature, so, if for any reason you are not interested in any of the included tips, you can simply skip it, and go directly to the one you want to learn about. The course content will continue to be updated over time, to make sure you always know about the most important features available to you, as new versions of Oracle SQL Developer are released. 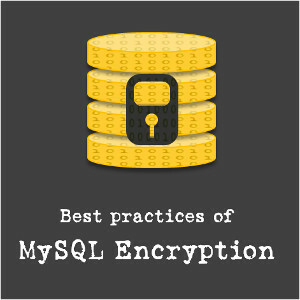 Learn these tips and apply them to your work, and you will not only be well prepared to learn SQL or work with it smartly, but will also enjoy being seen as an experienced and knowledgeable developer by your friends and peers.